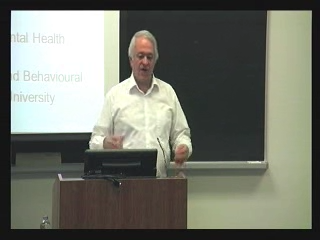 This video archive shows the presentation given at McMaster University by Dr. Anthony Levinson and Michael DeVillaer on November 7, 2014 to the medical students as part of the MF5 curriculum. This collaboration between the Centre for Addiction and Mental Health (CAMH) and McMaster is an educational initiative to promote curriculum innovation and resources related to the spectrum of alcohol use disorders. Funded by a grant from CAMH, in partnership with CREATE Canada, we seek to bring high quality, evidence-based tools and resources to improve the training of physicians in the assessment and management of alcohol-related problems. Modules discussing clarification on student values and attitudes of At-Risk Drinking, Alcohol Dependence and Alcohol related to Major Depression. 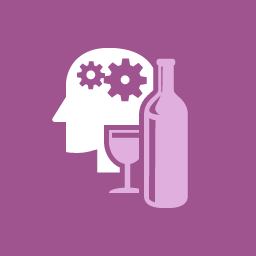 Promote curriculum innovation and resources related to the spectrum of alcohol use disorders. Intended for use both in undergraduate and postgraduate teaching and for faculty development. The file was developed by Mike DeVillaer, educator with The Centre for Addiction and Mental Health (CAMH) and the Department of Psychiatry and Behavioural Neurosciences at McMaster University. The content provides a detailed public health perspective on the epidemiology of drug problems with implications for both clinical and public health interventions. A two page complete description of the full curriculum offerings. The Canadian Centre on Substance Abuse's guidelines for promoting low-risk guidelines among patients. Portico is a knowledge exchange network for mental health and addictions professionals, allied professionals, clients, families and caregivers. Staying on top of your drinking this time of year can be difficult. Find out more information about an app designed to help you track your drinking.